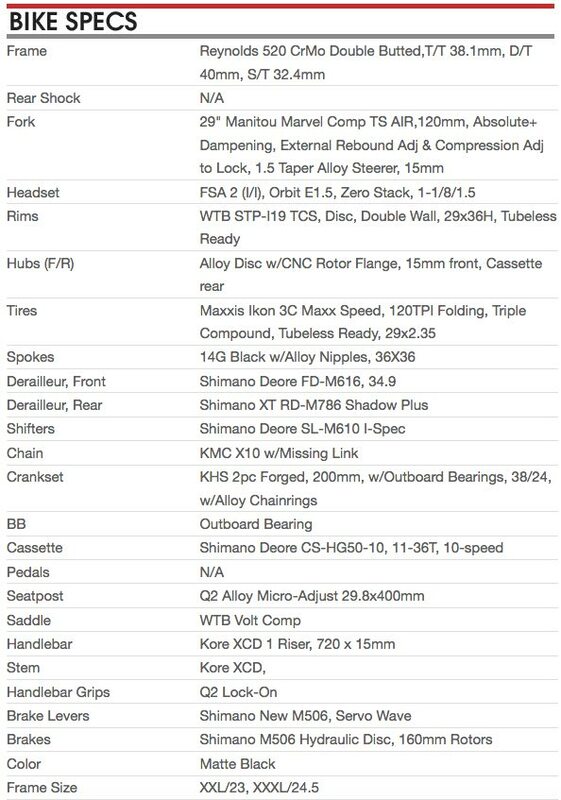 KHS BNT 29er mountain bike - XXL or 3XL. 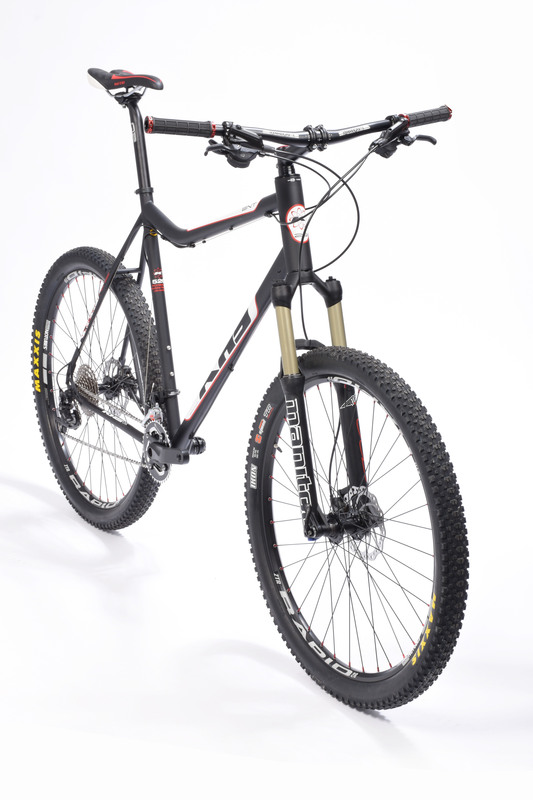 Now this is the XXL mountain bike bike for tall guys. 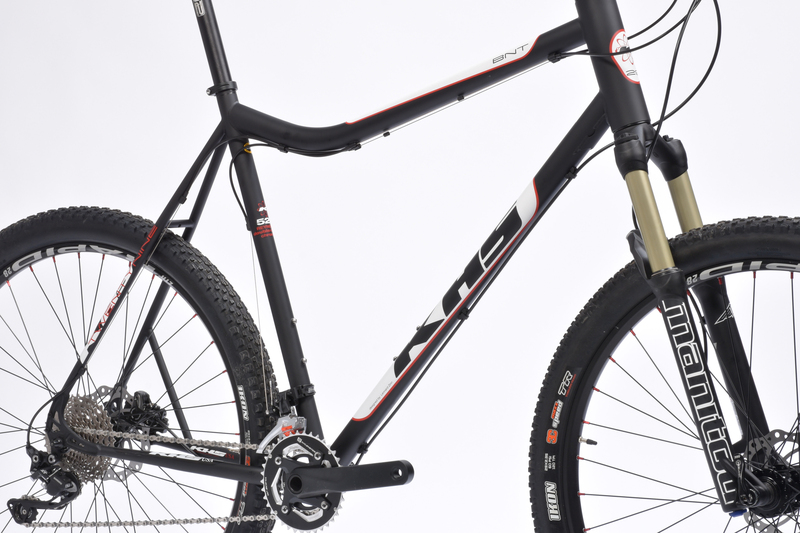 An XXL mountain bike is hard to find, and this one is truly designed for big and tall people. 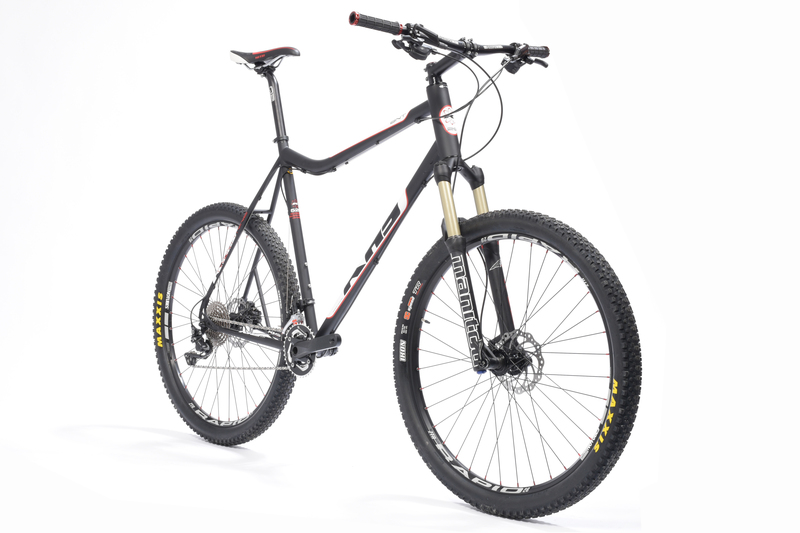 Lennard Zinn designed the big and tall mountain bike for KHS in order to offer tall riders a moderately-priced mountain bike that fits — including the cranks, just as he has done for years with the KHS Flite 747 road bike. 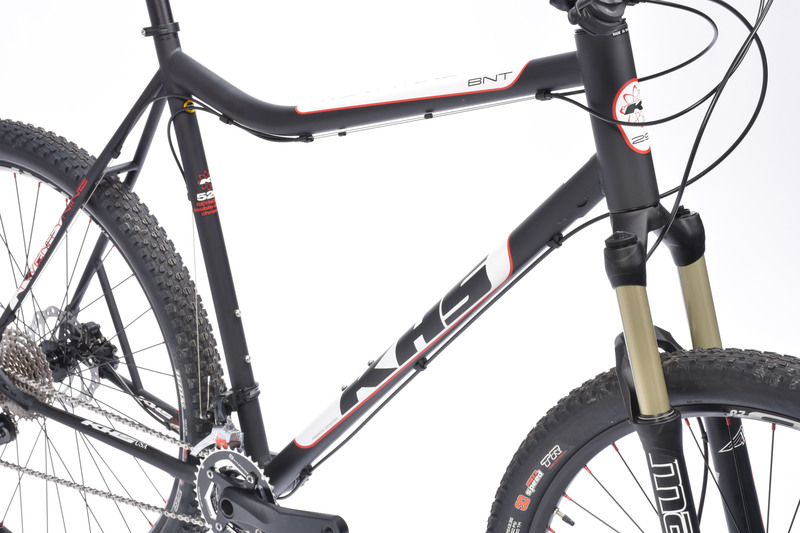 The KHS BNT 29er is a game changer for tall guys looking for a bike that fits and offers the efficiency and versatility they need. 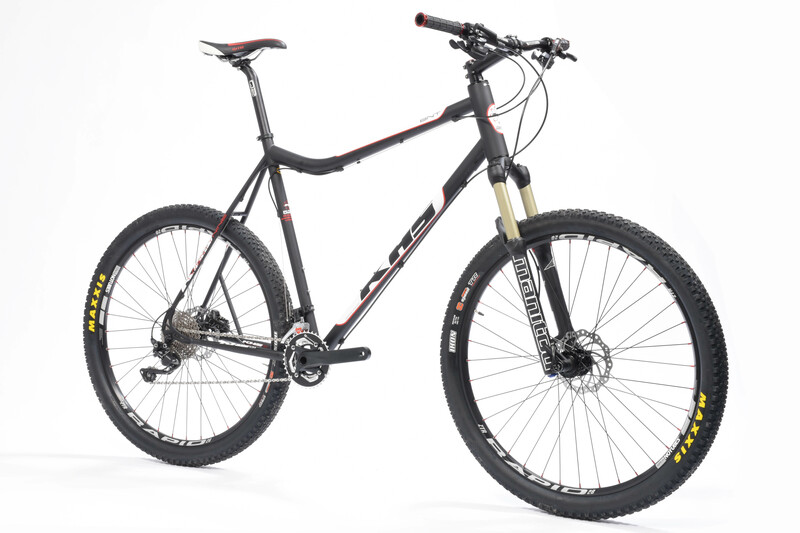 This XXL or XXXL mountain bike handles any mountain bike trail you can find, while also being a great bike for riding bike paths and dirt roads or cruising around with the family. And what's more? It is strong enough for a very heavy guy. 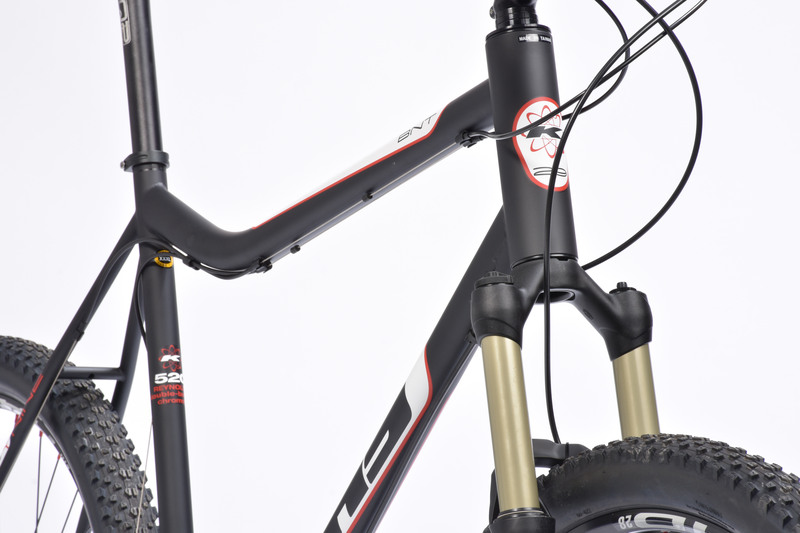 The frame is made from cromoly steel, the wheels are built tough, and the components are quality and durable.The BNT 29er comes in xxl or xxxl and is outfitted with Shimano 2x10-Speed Shifters and Shimano XT Derailleurs, 200mm cranks, hydraulic disc brakes, a Manitou Marvel Fork with 120mm of travel, and Stan's NoTubes tubeless ready wheels. 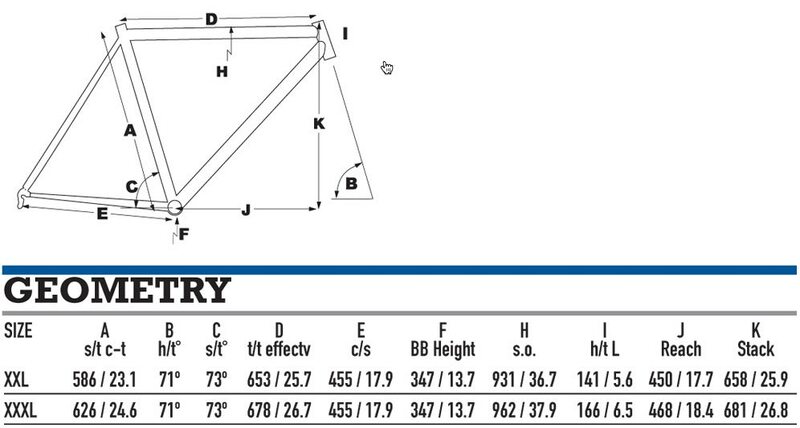 I'm 6'5" with a 6'9" wing span and this bike fits me great. very smooth. 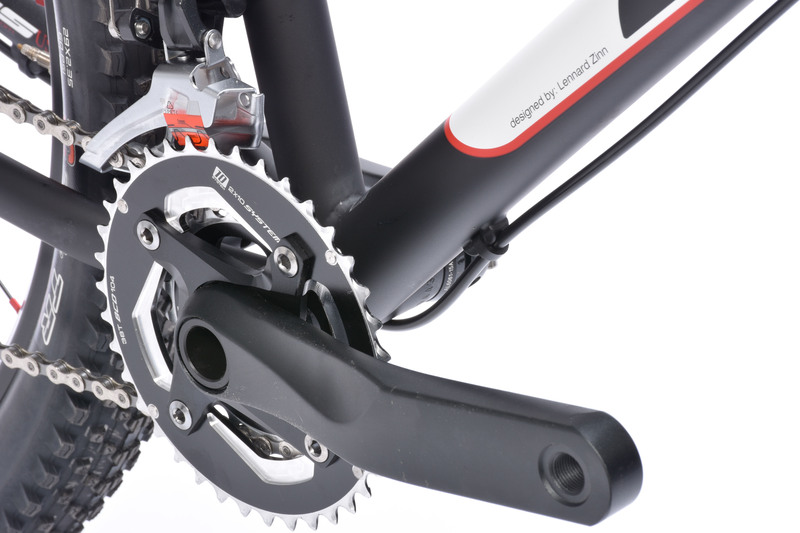 The larger cranks seem to feel more comfortable and when going back to my road bike it feels like my ankles are hand cuffed a little. 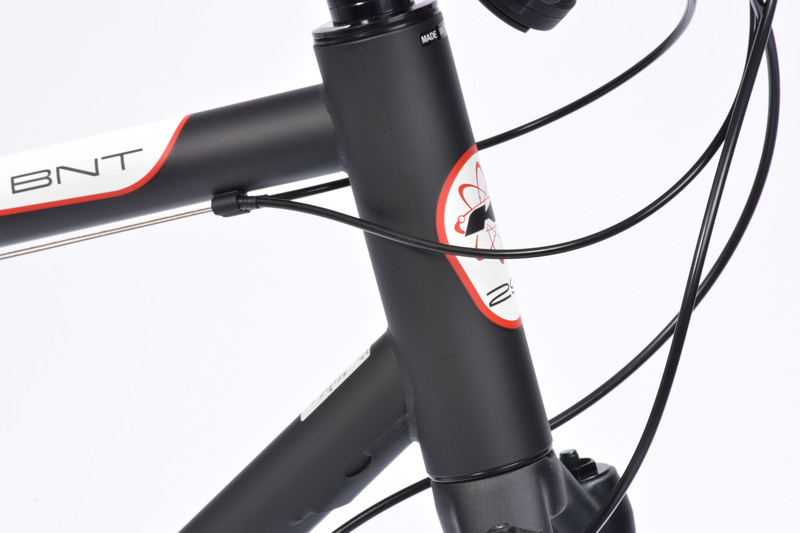 Components and shocks seem solid and well put together. Handle bars feel wider witch is more comfortable than others. they have tubeless tires but they come with tubs (easy switch). Love the bike so far.